Shop Floor Insight’s simple and efficient tools enable management to review open time cards for any potential issues prior to approval. 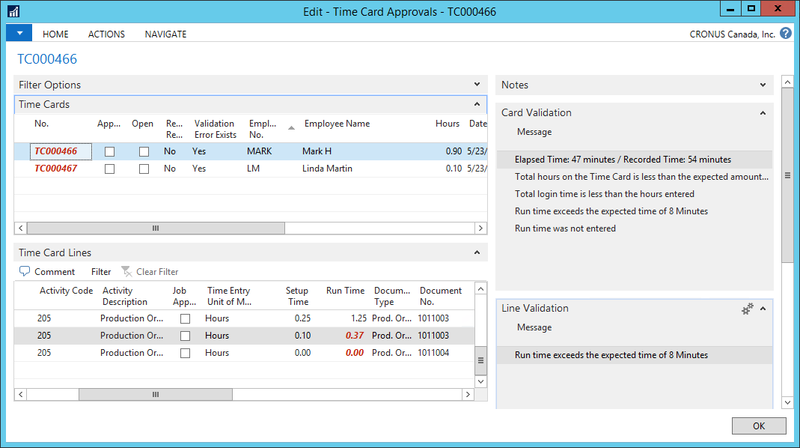 Shop Floor Insight will alert supervisors with visual cues if there are validation issues during the approval process, making the work of approving time cards quick and easy. Supervisors can use the approval interface to review all employee time details, adjust clock in/out times, adjust recorded time on activities, and send notes to payroll or other users.